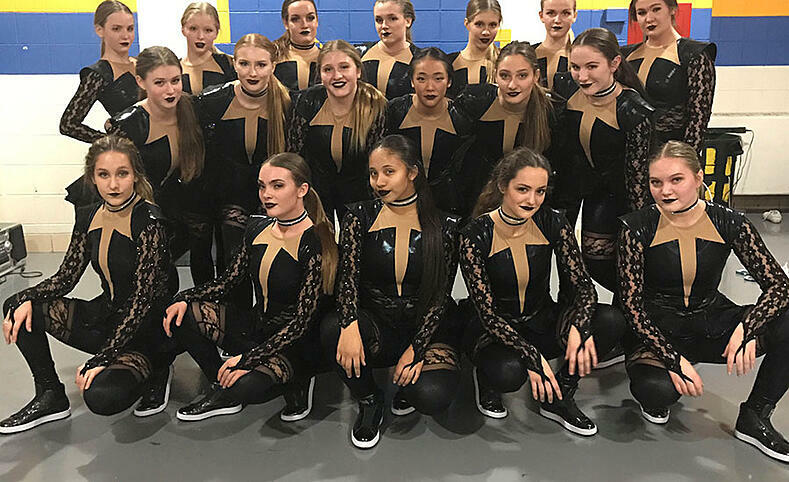 We've been eyeing a unique trend in hip hop dance costumes lately - teams forgoing the ever popular street wear look in favor of something entirely dark, edgy, and sassy! 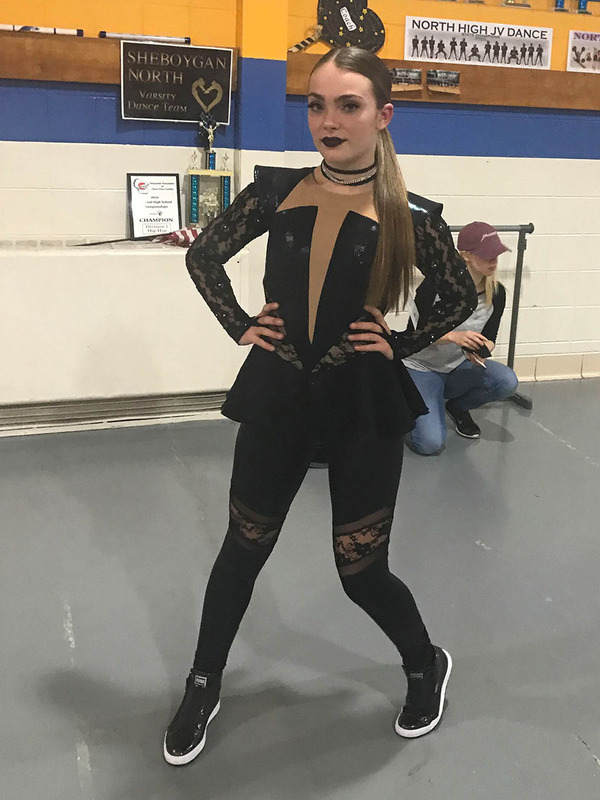 Seton had a bold leather look for hip hop this year, and Sheyboygan North High School Dance Team went all out with a sharp black lace unitard. "We wanted an iconic Beyoncé look, and Beyoncé does black and lace better than anyone!" explained Coach Kayla Pittner. 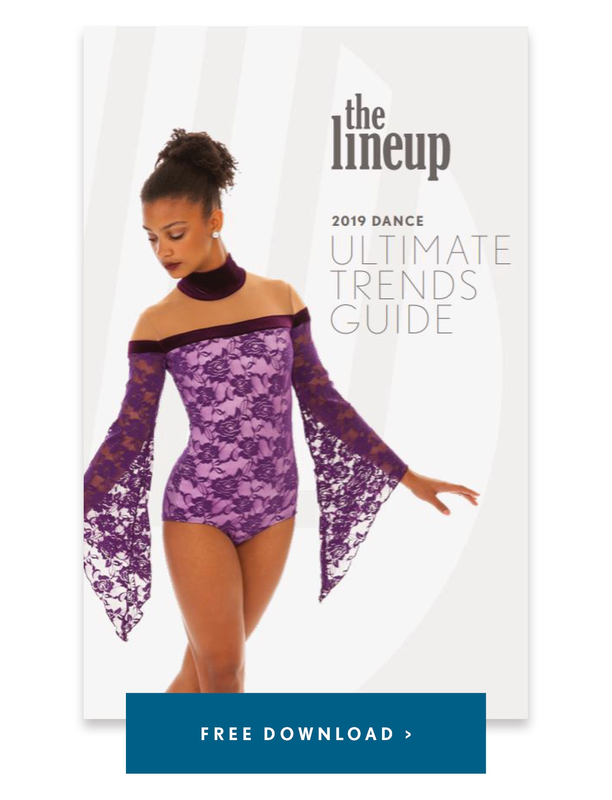 An angular bodice, strong shoulders, and leather-look myst fabric give this dance costume a fierce edge. Our favorite detail? The angular mesh and lace cutout on the leggings! We couldn't get enough of these leggings when we first tried the costume on in the office to check the fit. "It was a really fun project to work on," said Allison, the team's Account Manager at The Line Up. "They wanted something very structured – almost like armor and it took a few tries but in the end I think we nailed it. I love that they added the lace sleeves and the chokers to really make it their own!" 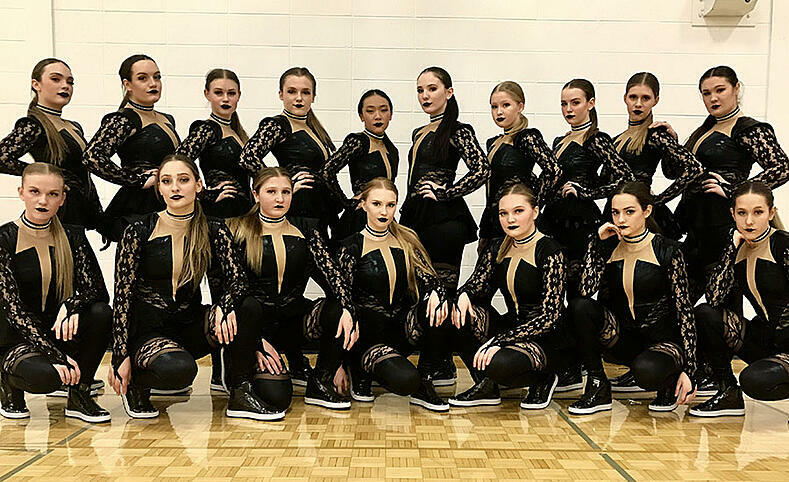 The girls had an amazing performance at the Kaukauna Classic a couple weeks ago in their new hip hop costumes. They placed 1st in Division 1 Hip Hop, and took home both the Highest Score of the Day Award and Choreography Award! Congratulations ladies! We look forward to seeing the rest of your season!! Our girls love Hip Hop! The style of Hip Hop they dance is very different than the popular high school Hip Hop style, and they love being different! Winning State last year in the Hip Hop Division was an outrageous moment! The whole team was hysterically crying! The entire team feels a lot of pressure to make this routine even better than last season's. We have 10 Seniors, and it's such a big season for us. They want to have no regrets! UPDATE: Check out Sheboygan North's performace at the WACPC State Dance Championships! The team took home the championship title, and this video went VIRAL on Facebook! !